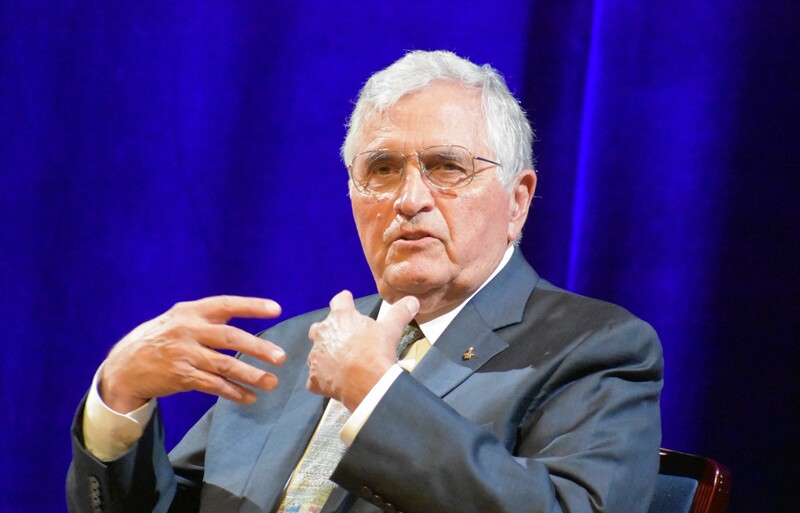 WASHINGTON, D.C. — I didn’t invite Apollo 17 astronaut Harrison Schmitt to get his views on climate change, but that’s the topic that created the most fireworks here today at the ScienceWriters 2018 conference. The title of the session was “Apollo Plus 50,” and the focus was the past and the future of America’s space program in light of the 50th anniversary of the Apollo moon missions. This entry was posted in GeekWire and tagged Apollo, Climate change, Environment, Harrison Schmitt, Science, ScienceWriters, Space. Bookmark the permalink.